Took the black coupe to e20 today. Walter and Jon were there. Man you could hook on a frozen Lake I do believe. Nice 60ft. And nice pass. Shannon, you bumped yourself down one spot. LOL. Dual 9 sec crew FTW! Very nice pass! Sounded real good! Congrats on the run. You had all those Mopar guys scratching their heads on how fast you were shifting. 2011 5.0 with a couple turbos. Awesome and nice run! Congrats again! Time to lock this one up. Great job to all, especially Walter and kennebellcobra for managing to put (2) 9 sec cars each on the list. Pretty sure just one of them doing it would have been a first but both of them doing it definitely was. 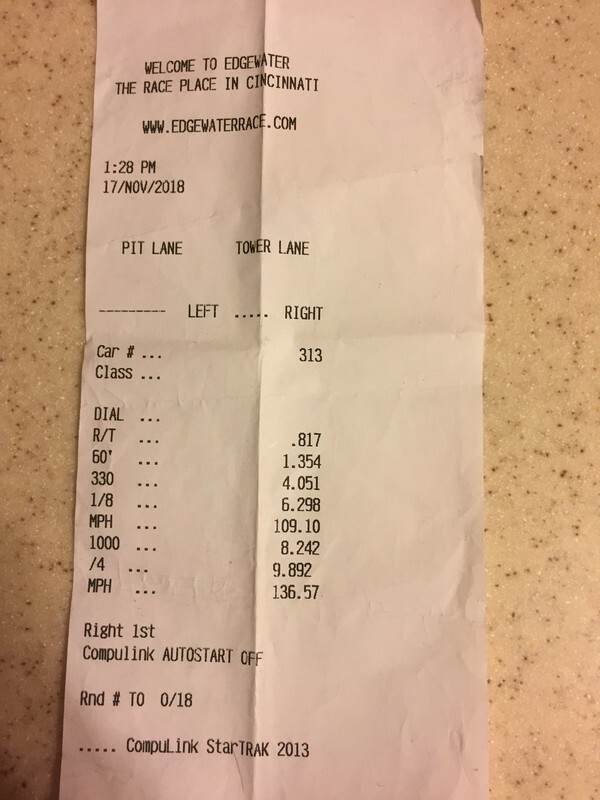 We ended the year with a solid 10.185 @ 137.58 average. That 9 sec average continues to allude us but I think next year may be the year it gets done, we have a few quick guys that aren't on this years list that I'm guessing will make next years and I think that'll be enough to get the average over the top. Get to working on those upgrades and combo changes for next year and let's get after it. Merry Christmas and Happy New Year to all!